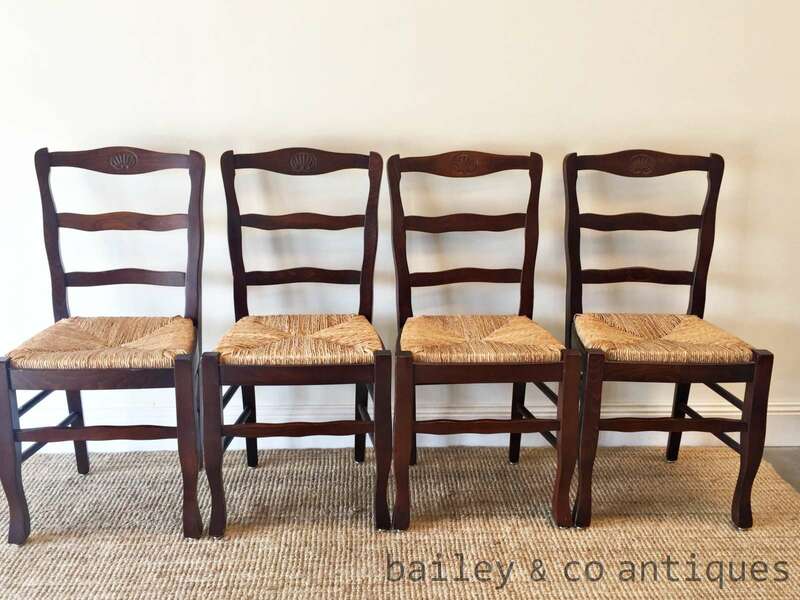 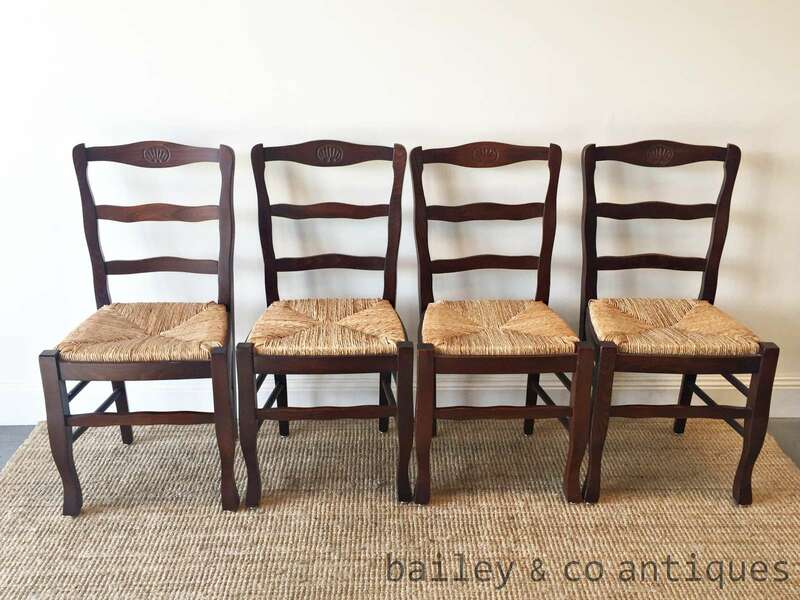 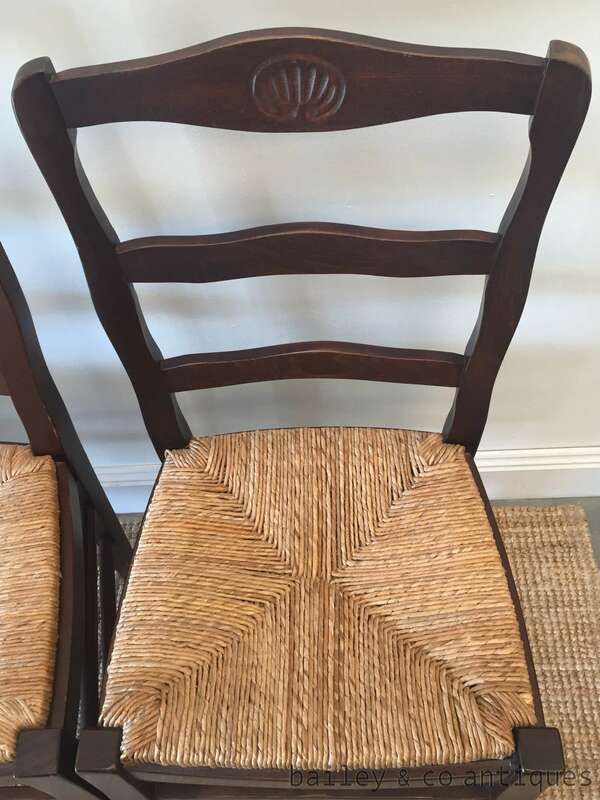 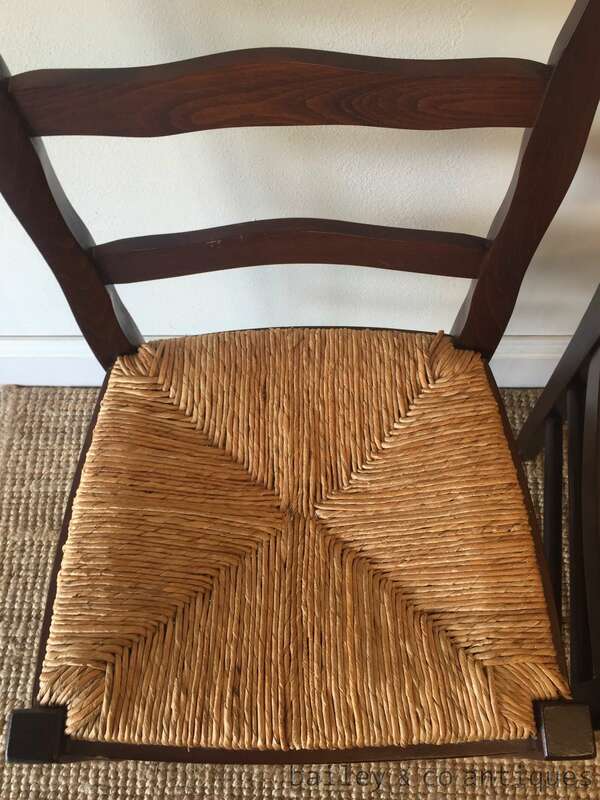 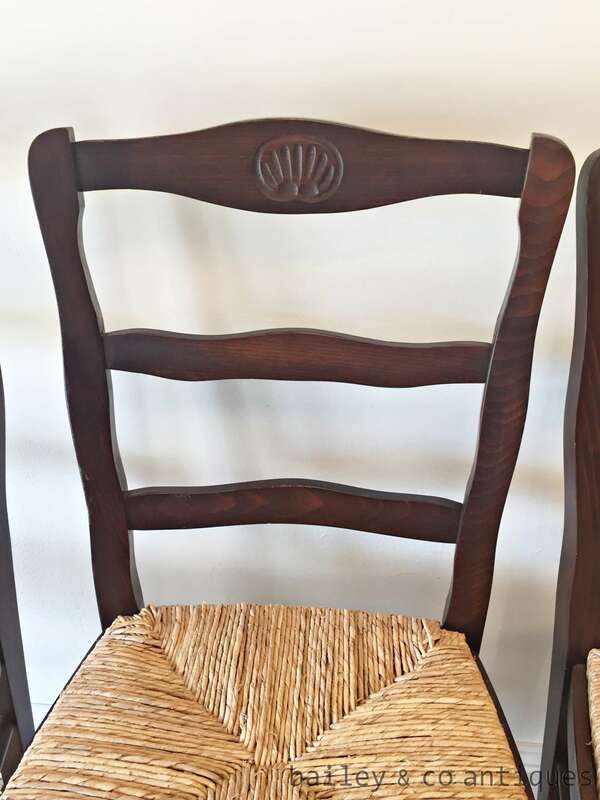 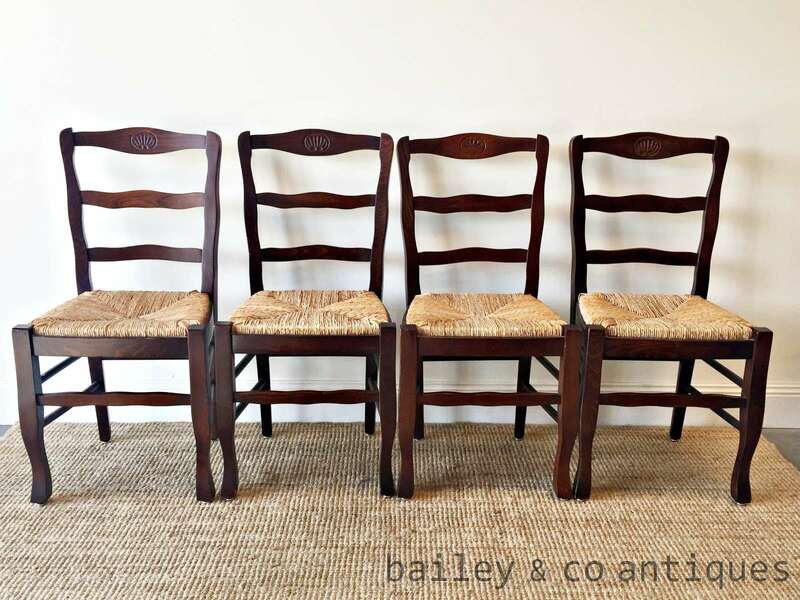 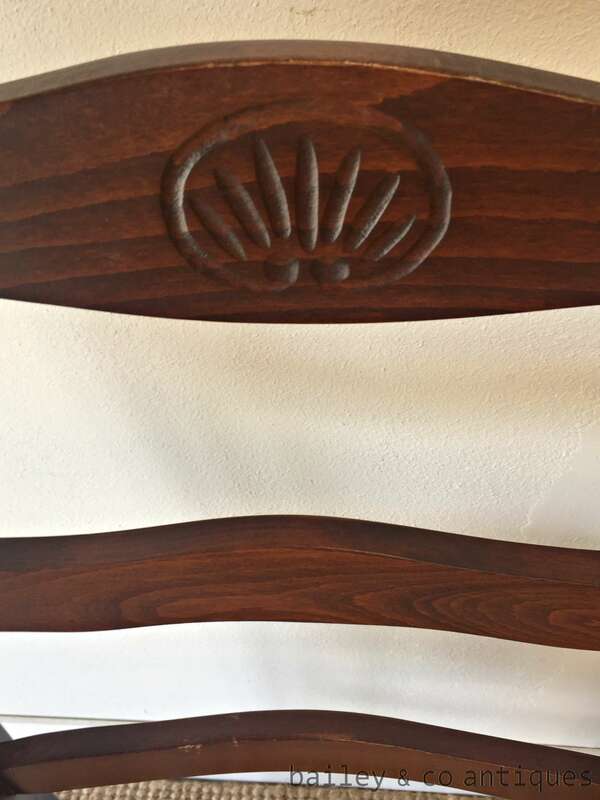 A set of four French vintage ladder backed provincial dining chairs with rush seats. 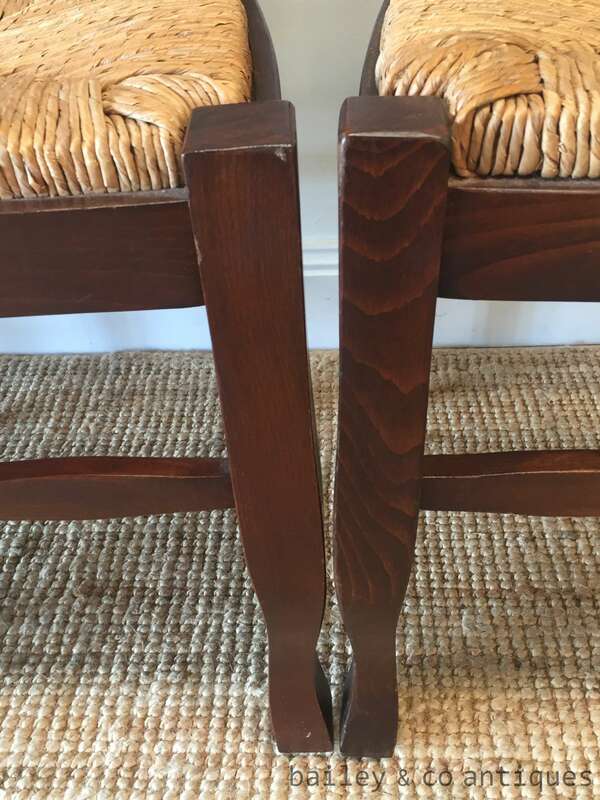 These are sturdy and only have some light usage marks. 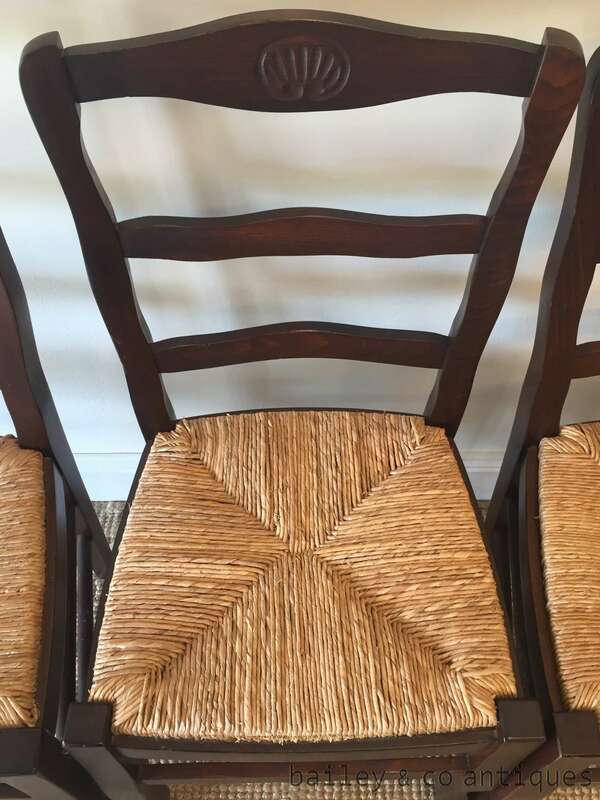 We are happy to answer any questions.